Just as Hozier’s Wasteland Baby! 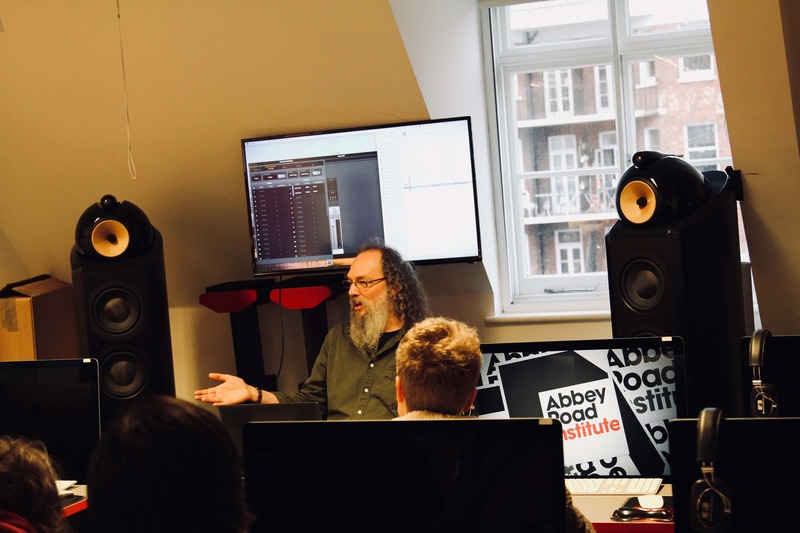 grabbed the number 1 spot on the Billboard charts, we were delighted to welcome Andrew Scheps, the man who mixed the album, for an insightful masterclass at Abbey Road Institute. Scheps is the kind of mixer people endlessly search for clues on how he achieves such lively, exciting mixes. It was a treat for our students to receive a personal tutorial on his mixes up close and personal. Mixes from Scheps can be found on Jay-Z’s Black Album, Adele’s 21 and Beyonce’s XO. 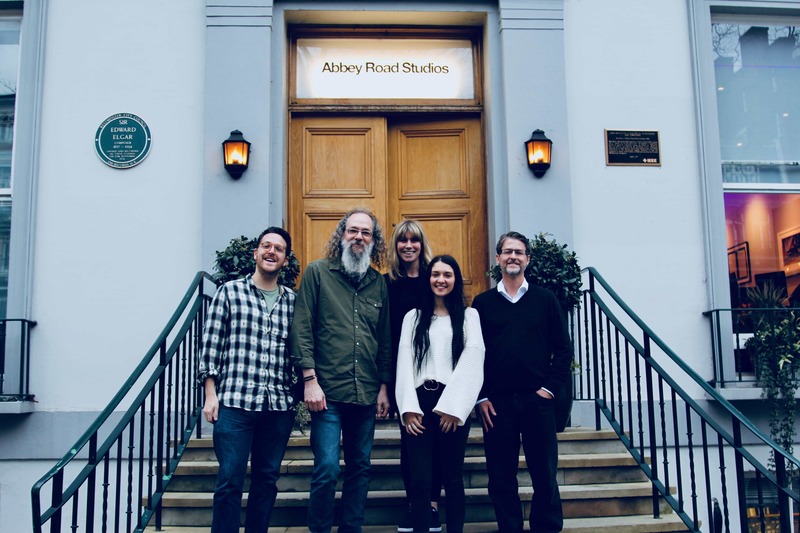 Alongside some of the biggest names in pop, Andrew has mixed some of the heaviest hitting rock artists like Metallica, Red Hot Chilli Peppers, and Iggy Pop. Andrew spent the afternoon with our students talking mix tips, career advice, and his creative path. 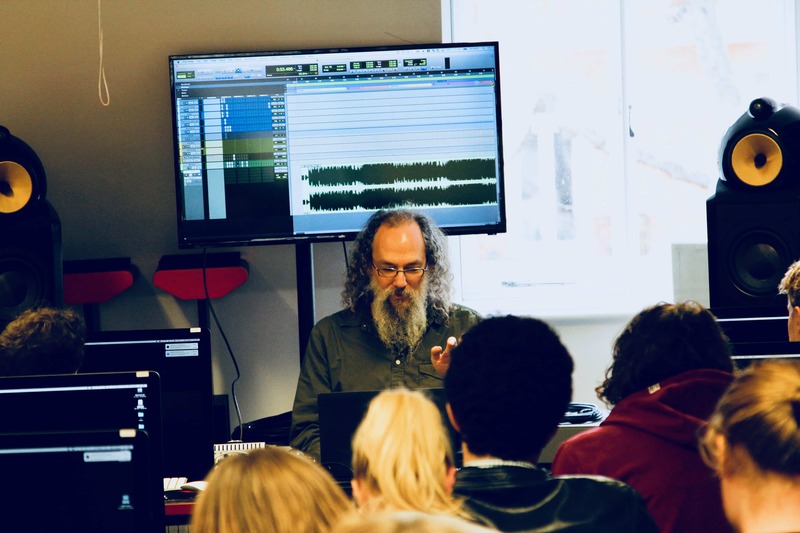 Mixing, as defined by Andrew Scheps, is a ‘technical solution for creative problems, not a technical solution for technical problems’. Say you High Pass Filter a kick drum to create clarity in the low end. The decision to do so is rooted in creativity and not something done to cross off a checklist of things that must be done. ‘Bringing a checklist of things to do in a mix makes no sense.’ Essentially if that rumble is musically doing something pleasing, leave it in! Scheps has been in the game for some time and knows the emotional roller coaster of constantly getting negative revision notes from artists. It’s simply part of the process. If someone is pleased with his work it means there are no negative comments and the mix is approved. However, negative feedback can be hard to swallow. ‘Sometimes I get mix notes back and feel like curling up into a ball. Even after all these years in the industry I’m still incredibly nervous when submitting a mix.’ Scheps reminded the class not to submit a mix until you’re truly proud of it. ‘Don’t submit a mix with an email explaining that the vocals were recorded a little hot, and the drums weren’t played hard enough but here is the mix anyway. Instead get the mix to a good place and simply say ‘hey, check out this mix’. Scheps sees an interesting mix as a way to trick the brain. Adding something unexpected to a mix is like a missing step in a staircase. ‘You brain is anticipating the next step but when it isn’t there the body is surprised.’ Scheps demonstrated this by suddenly removing all reverb from a vocal at the end of a chorus and making it bone dry. This created a sudden intimacy that made for an interesting listening experience. For Scheps it is all about emotion. Reverbs, delays, and tremeloes are all things that can get someone to react emotionally to a song. It puts us in a place. Sometimes a perfect mix can make your mother cry. Using a complex template is not cheating. Scheps sees it more as a tool to get into the creative zone quickly. Pop open the mix, throw it in your template and get thinking creatively. He prefers not to get bogged down on a long set up process creating aux’s and sends while he could be listening to the song properly. ‘First impressions are important as you will never hear the song in the same way once you’ve heard it.’ Scheps will first take notes of things that stand out negatively and that he definitely wants to address in the mix. Our student Charlie asked if the creative process changes if he doesn’t really love the song. Scheps explained ‘I’m terrified when I mix something that I really like. The recent My Brightest Diamond record I was mostly terrified. There was no template of the rough mix so I made a lot of changes. Overall though you have to find things to like though or you shouldn’t be the one mixing it. Our students truly treasured the opportunity to bounce questions off a mixer whose creative intuition has led to some of our most beloved songs. Stay tuned for our podcast and video interview with Andrew Scheps coming soon!